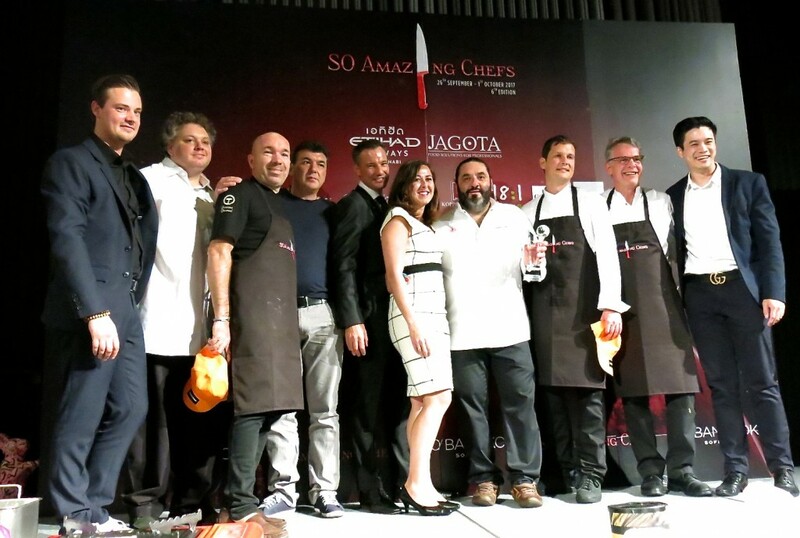 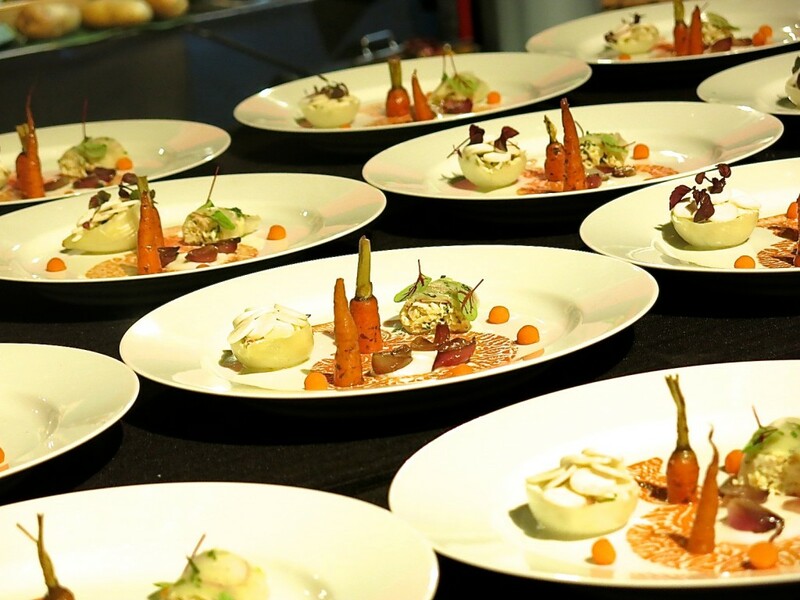 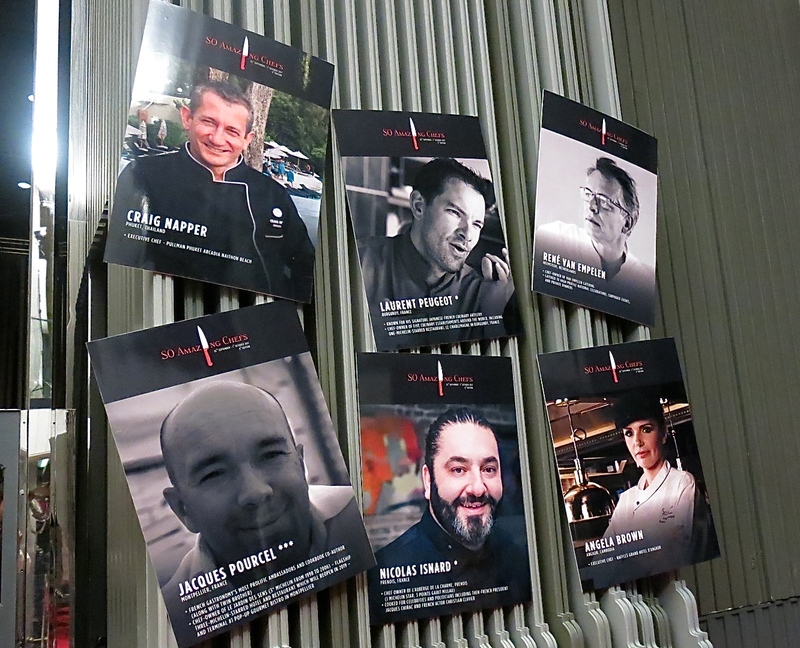 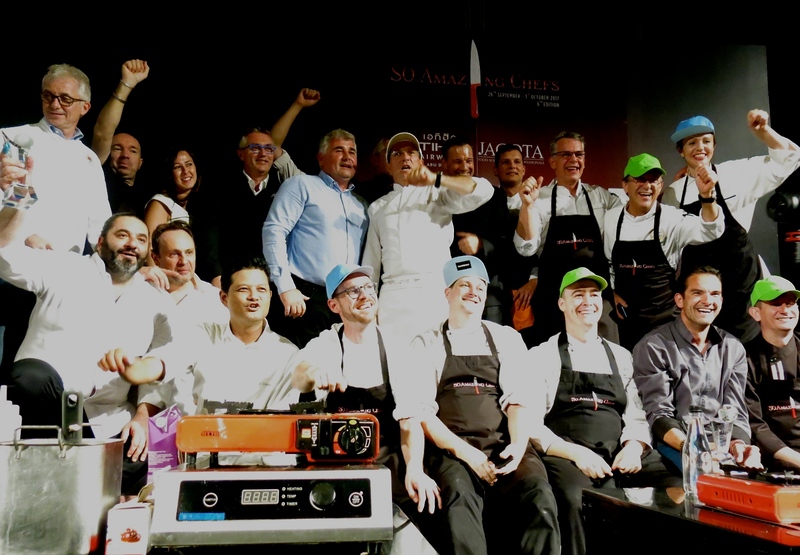 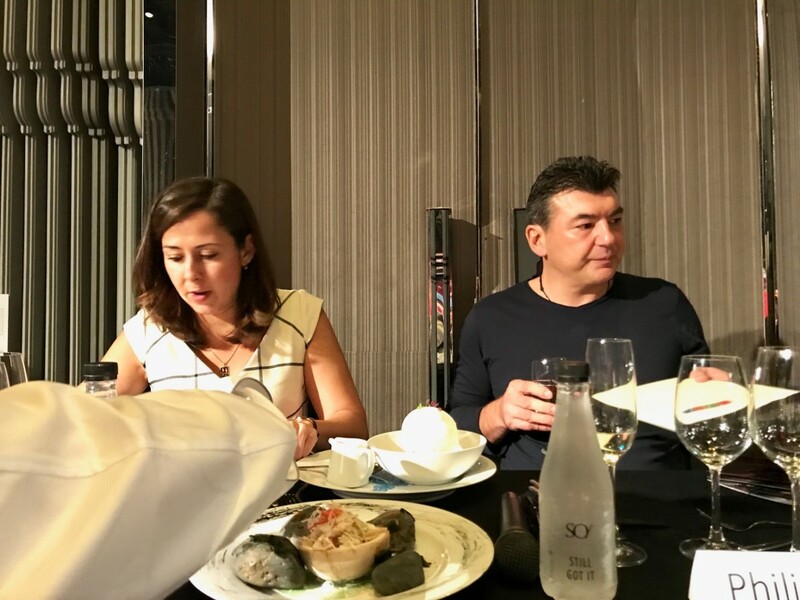 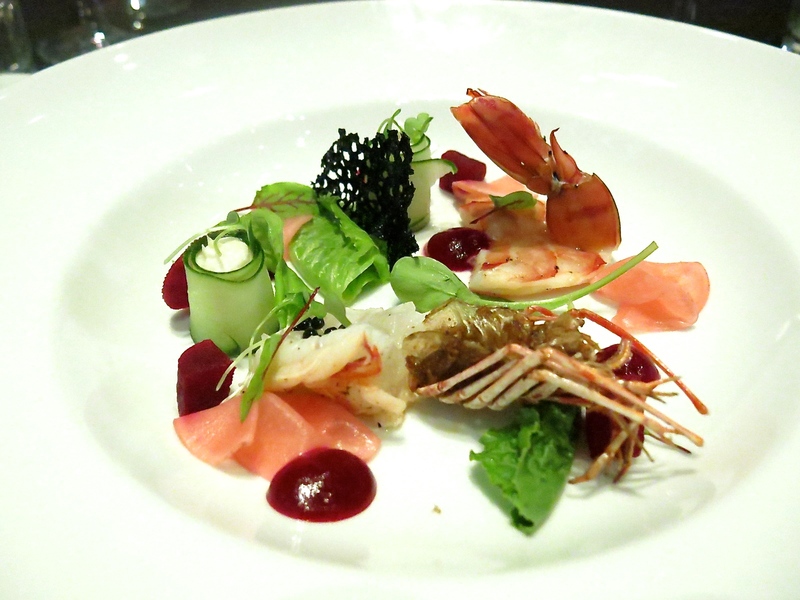 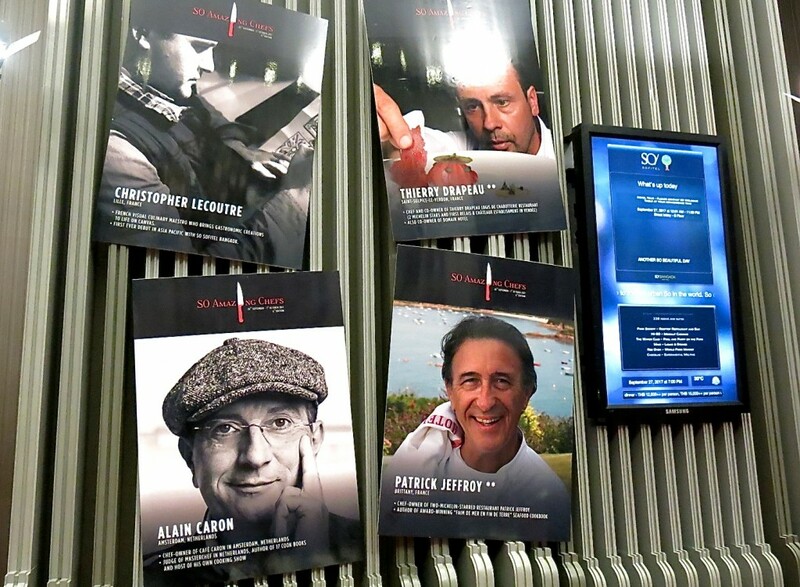 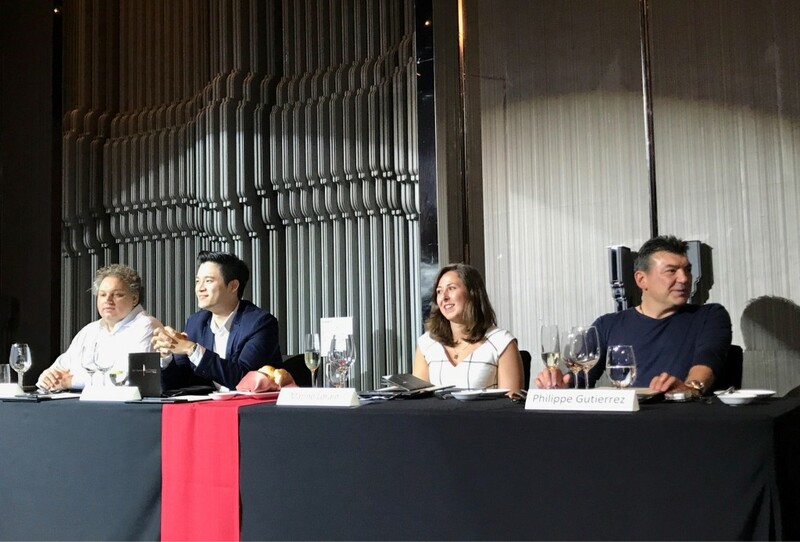 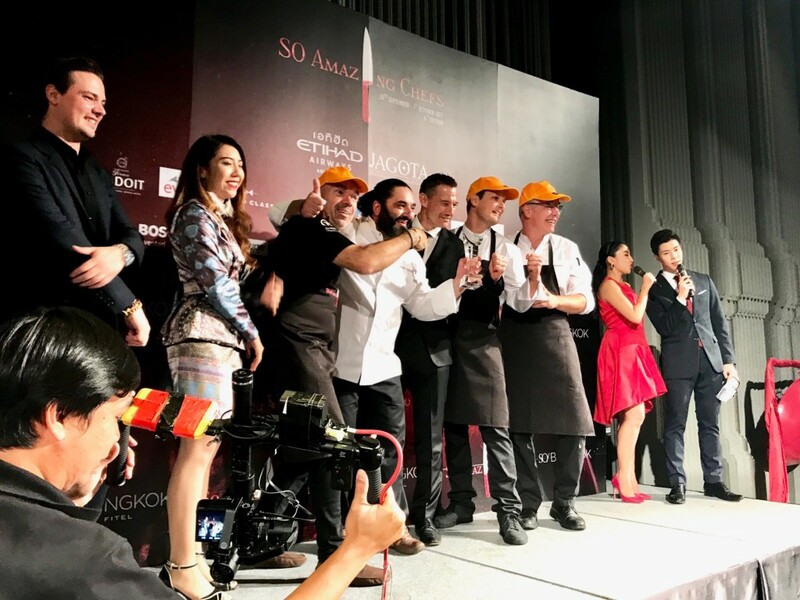 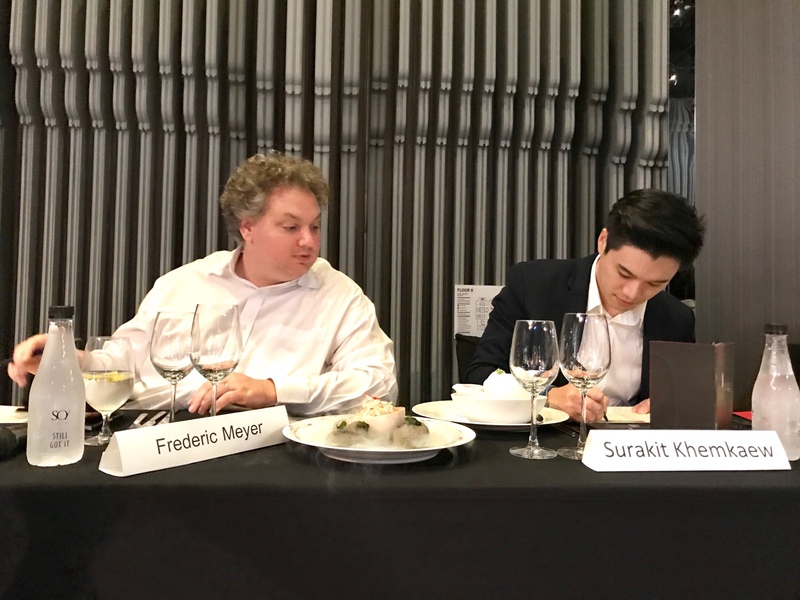 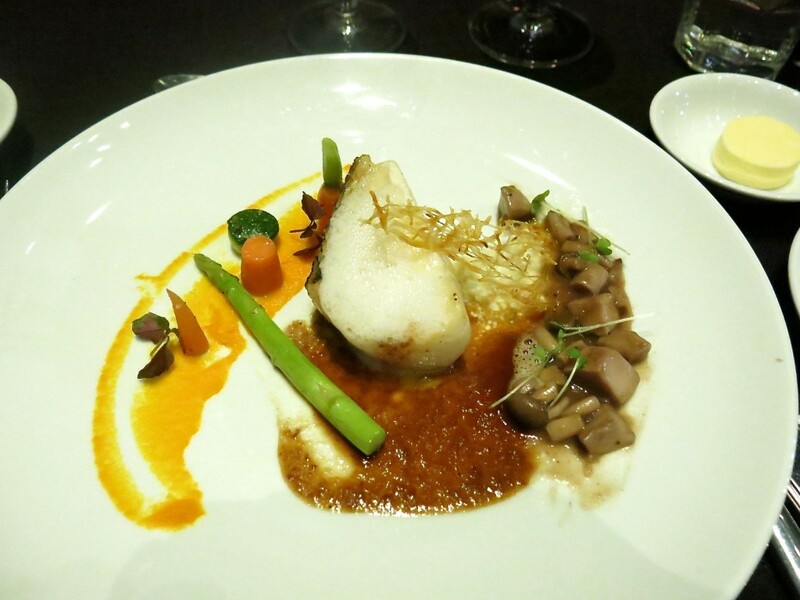 SO Amazing Chefs 2017 returned for its 6th year, bringing with it 12 chefs experts – representing a total of 12 Michelin stars. 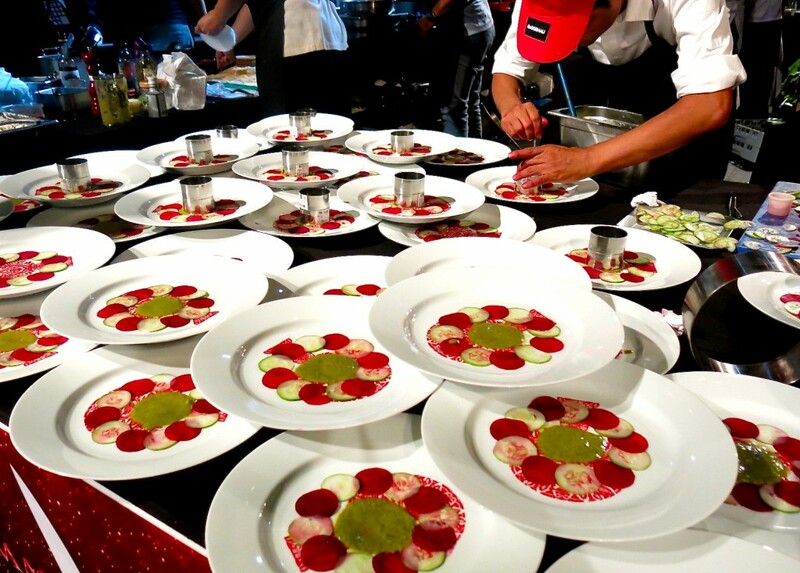 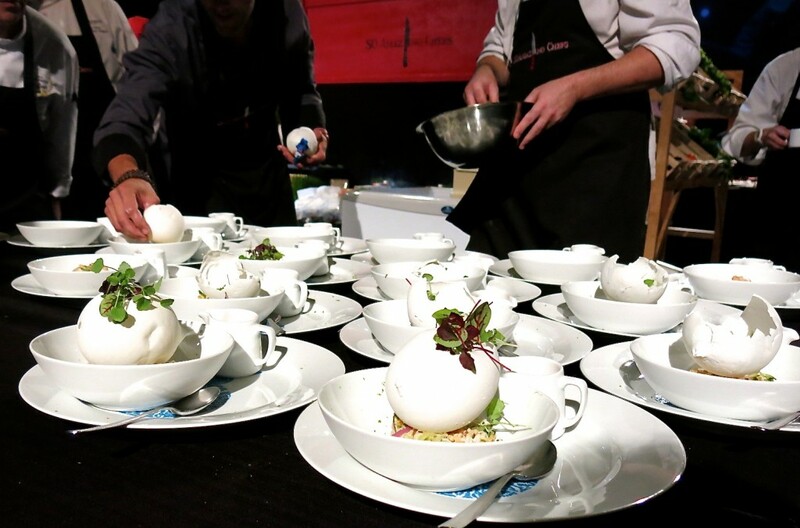 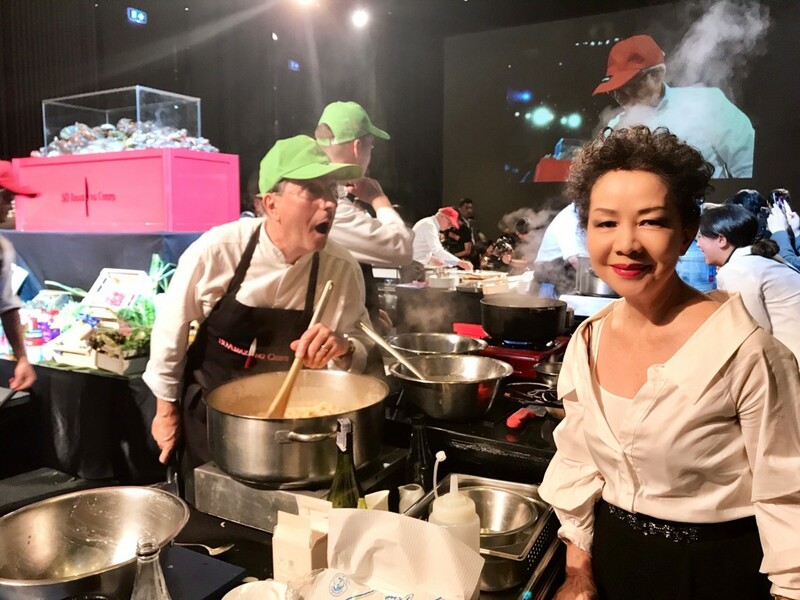 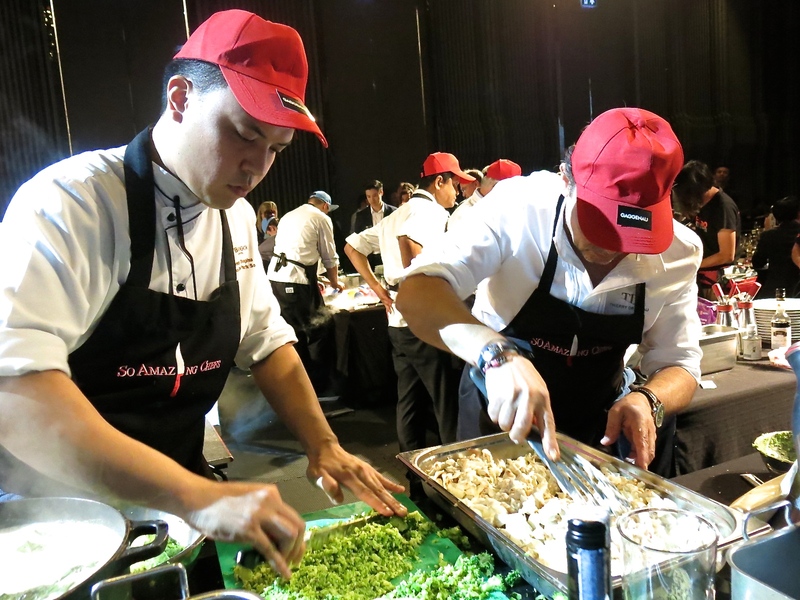 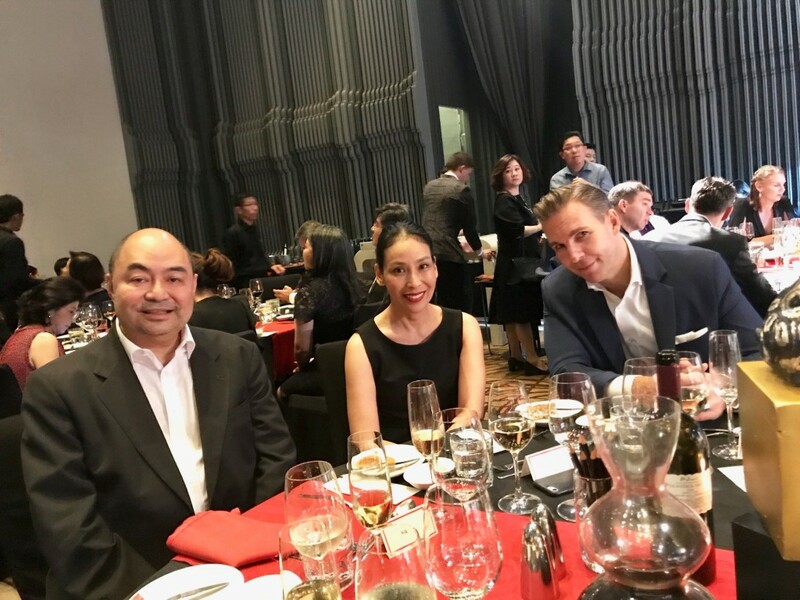 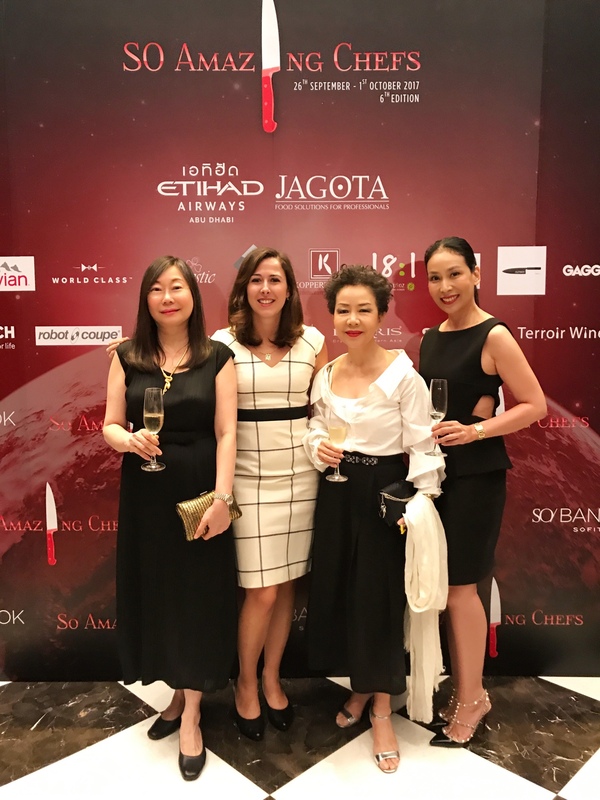 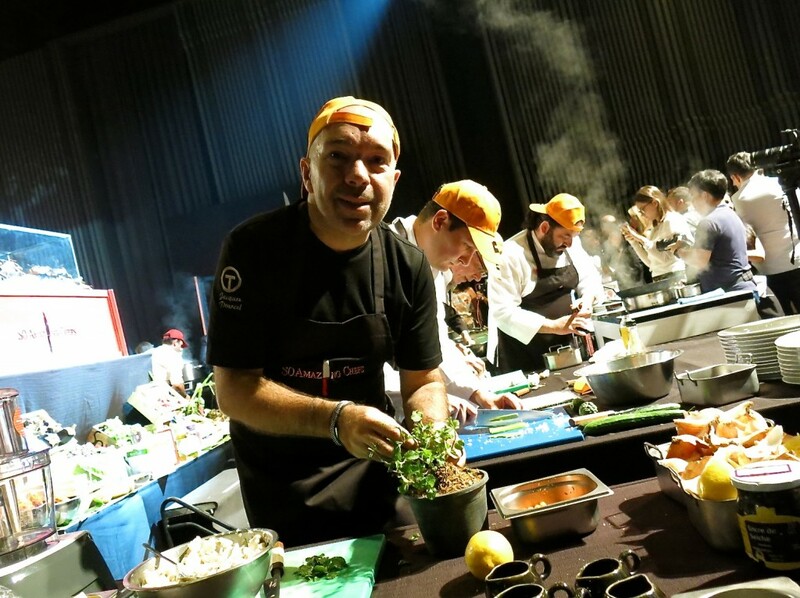 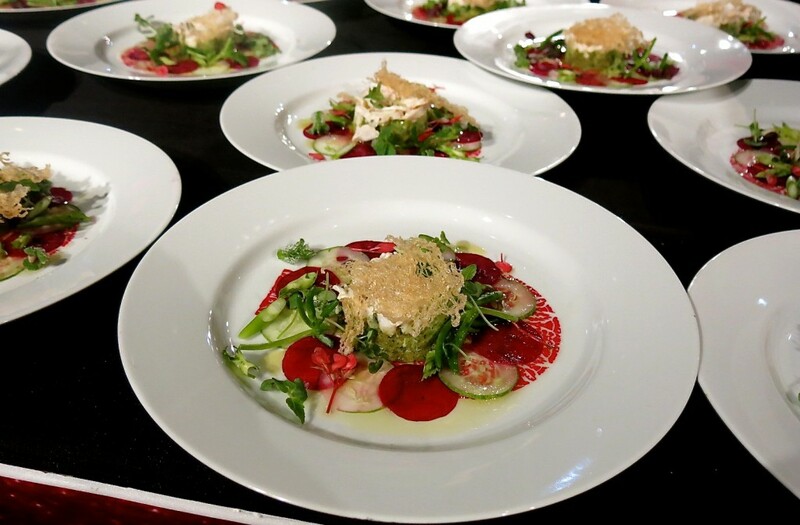 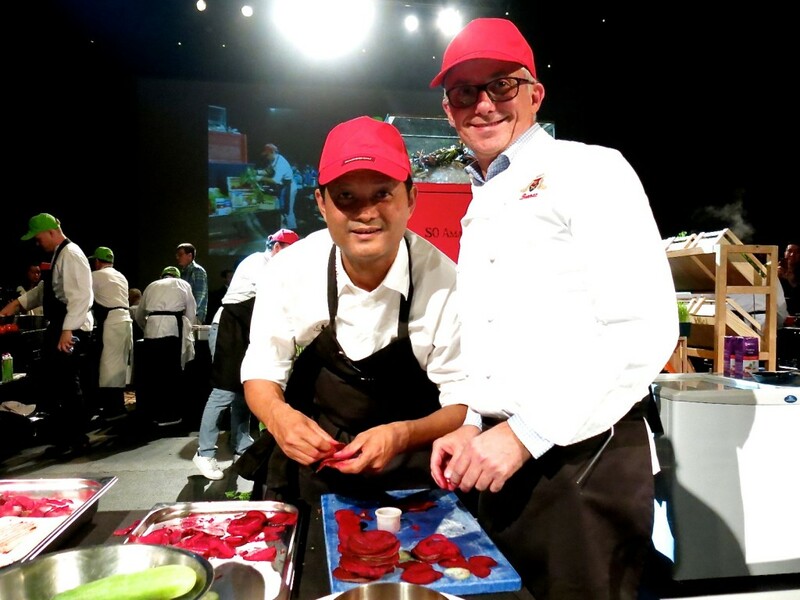 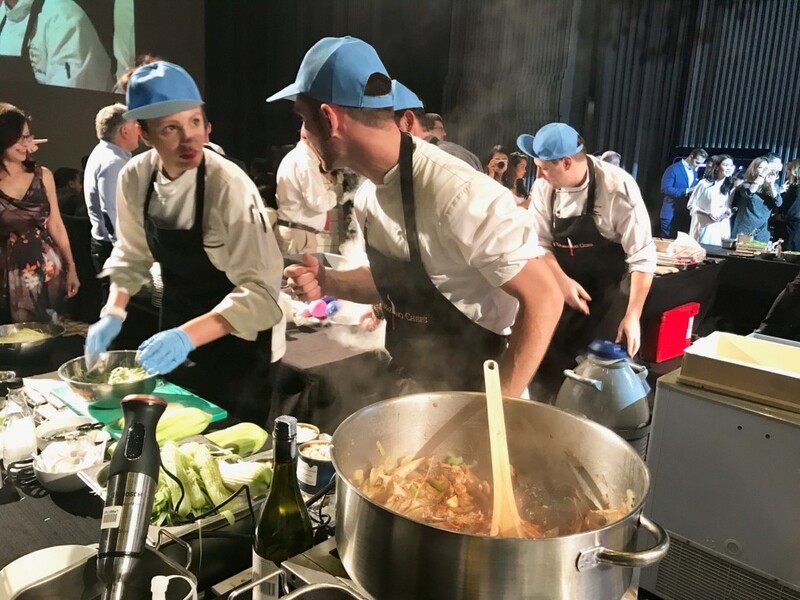 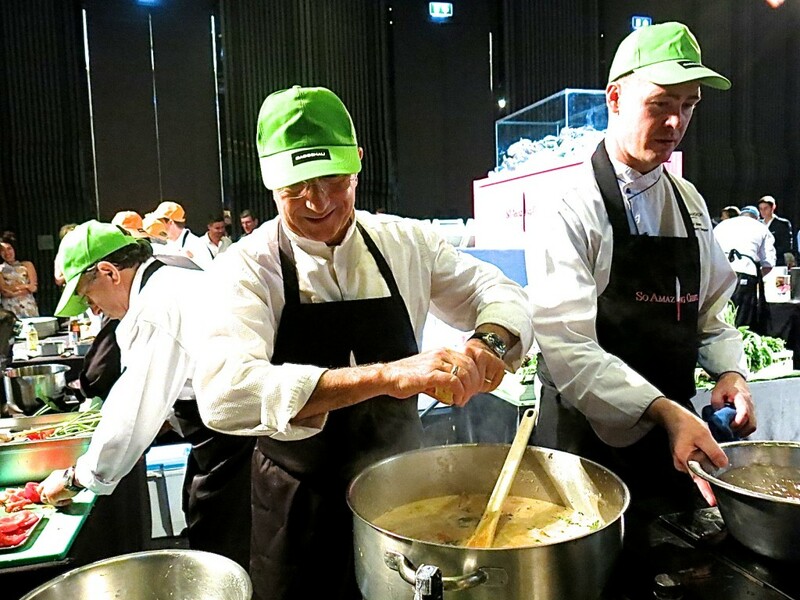 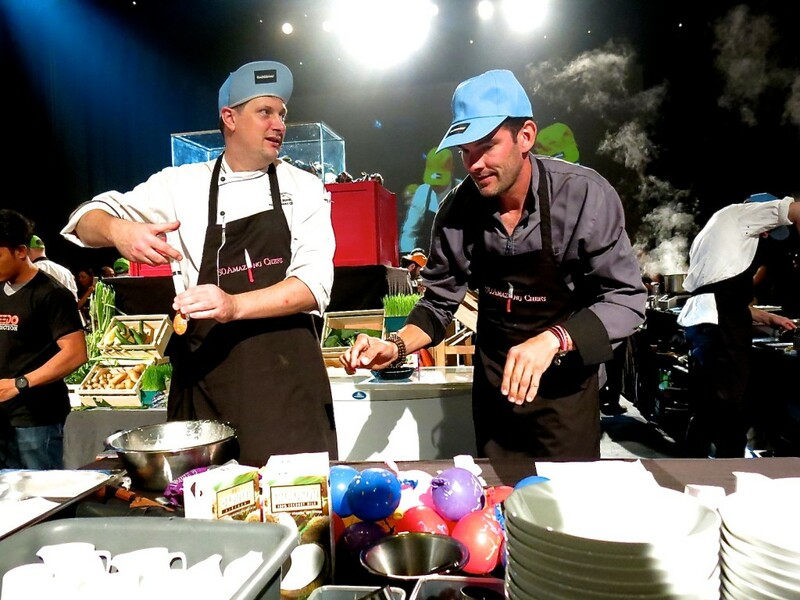 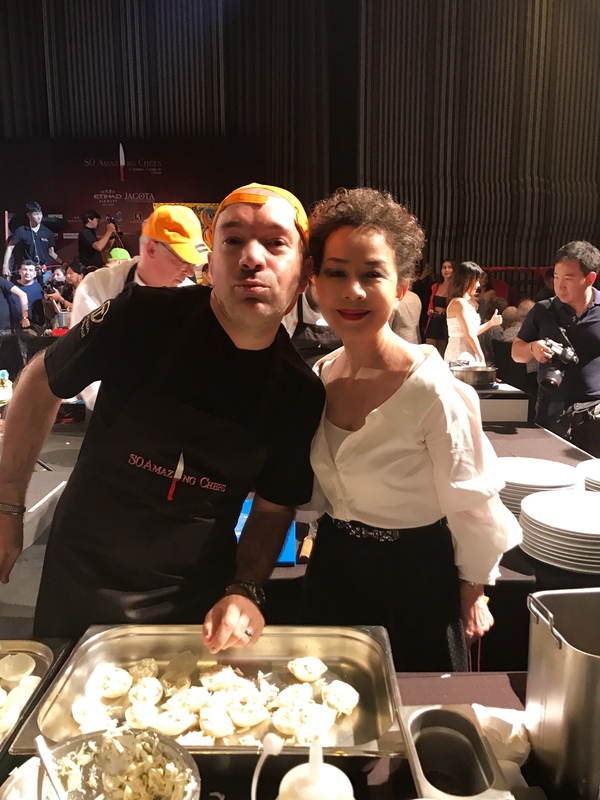 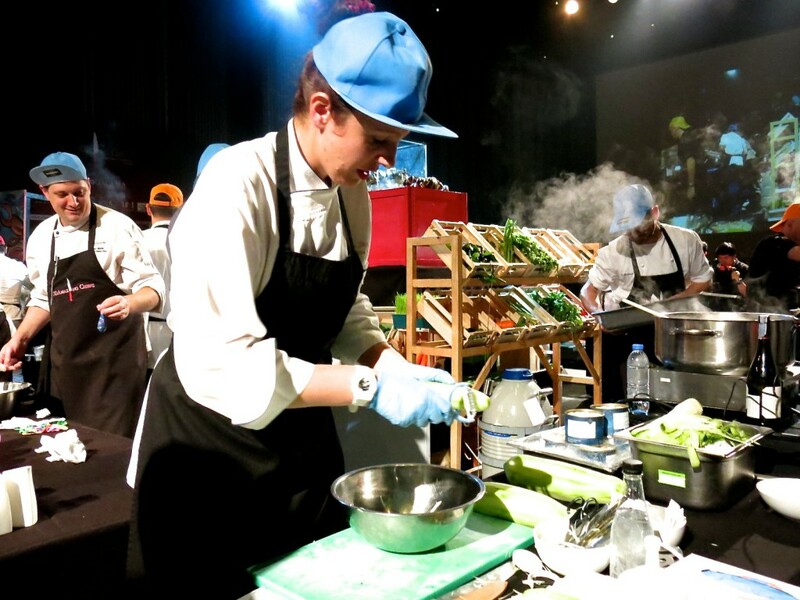 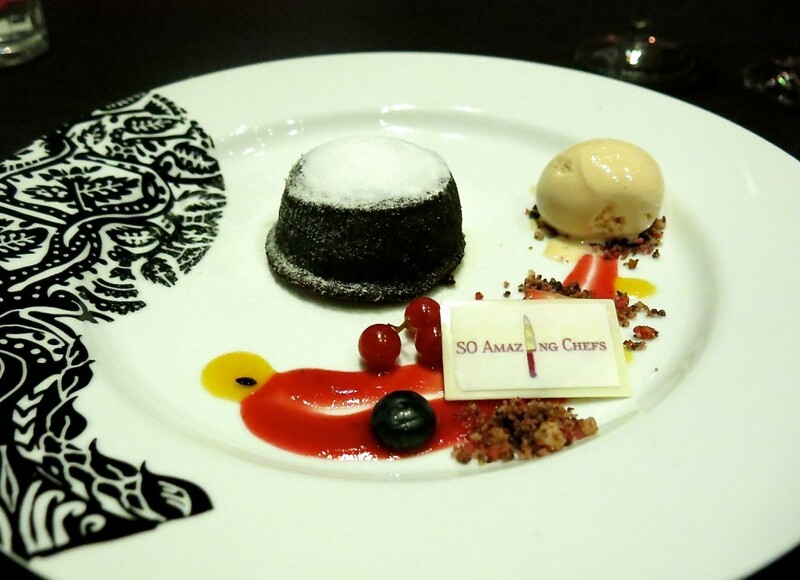 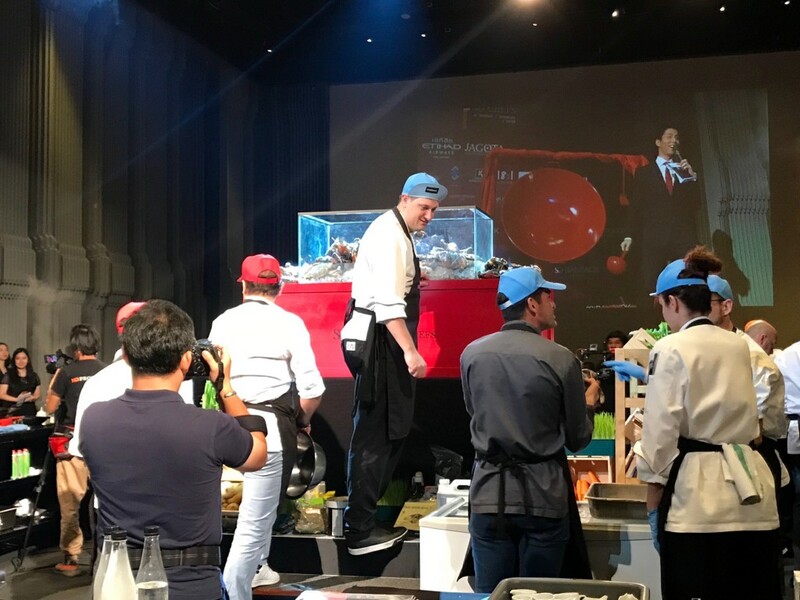 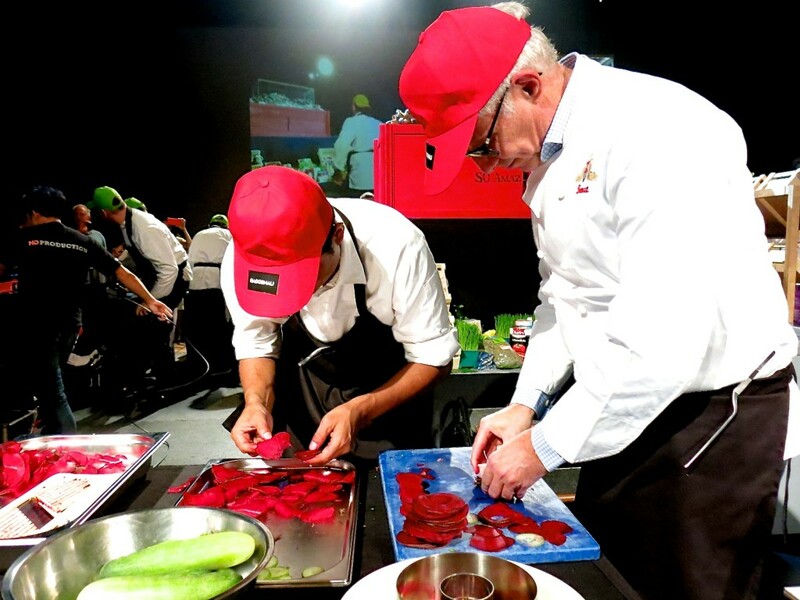 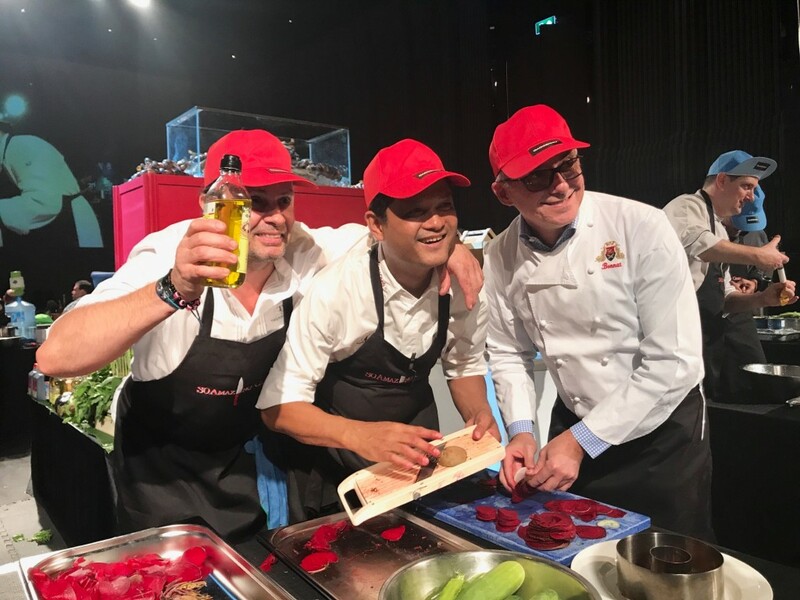 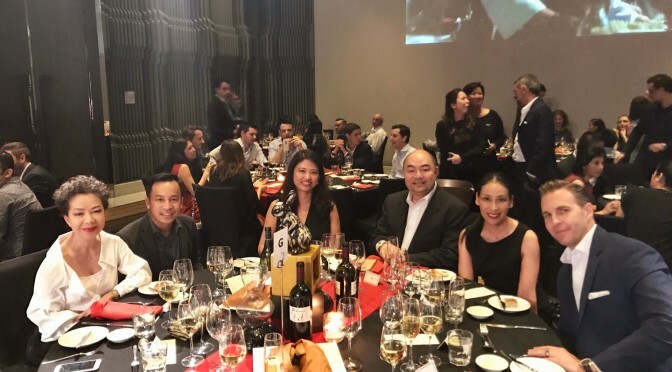 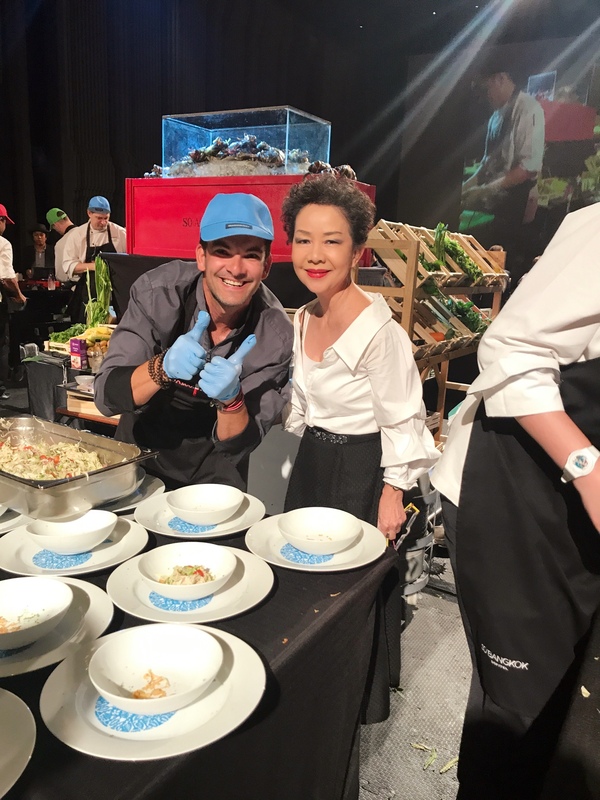 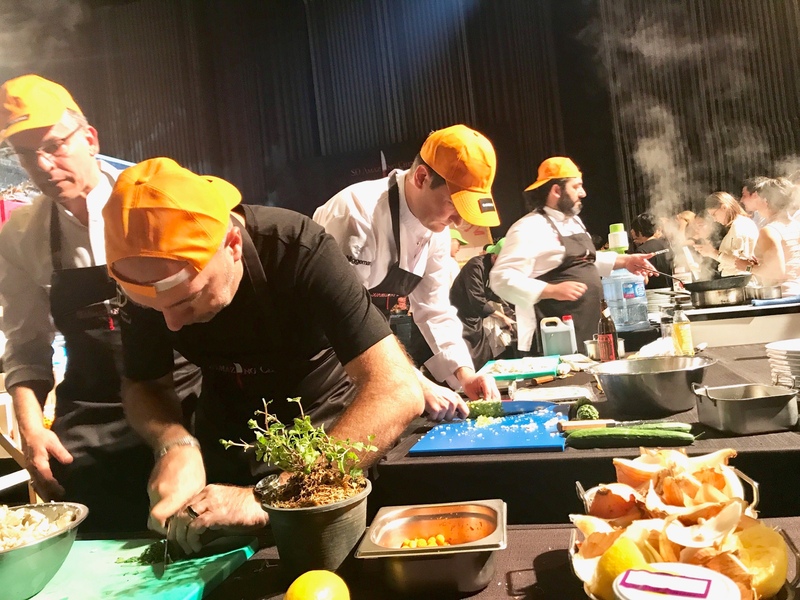 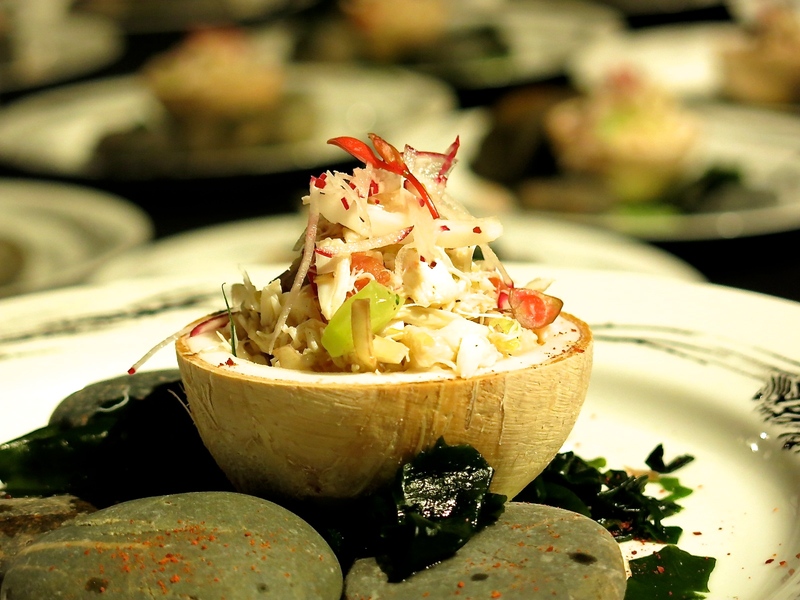 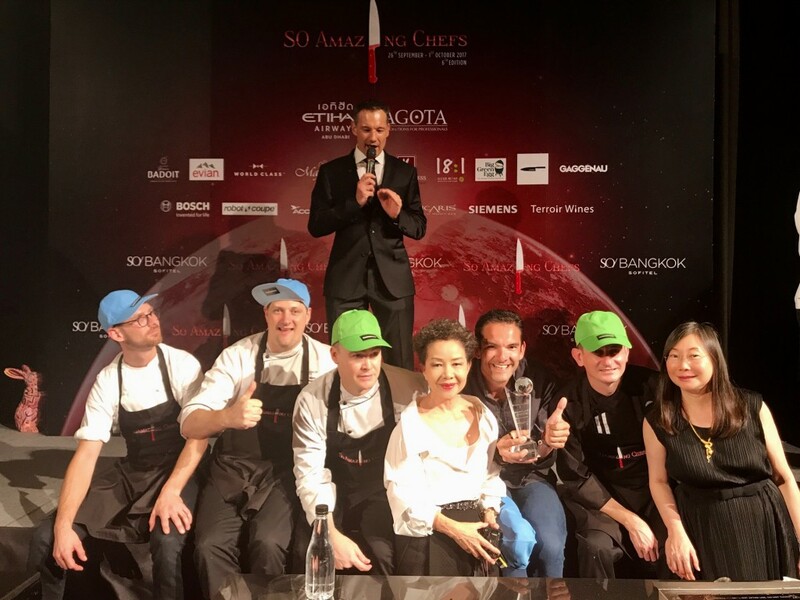 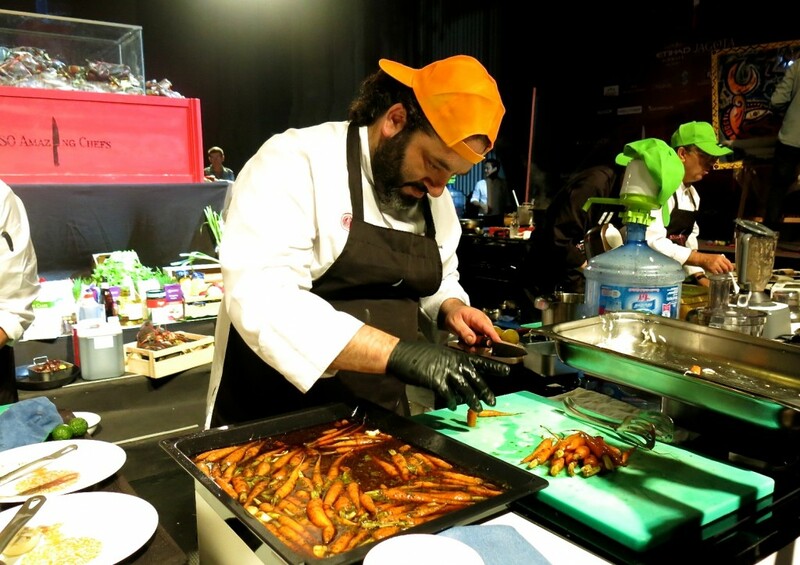 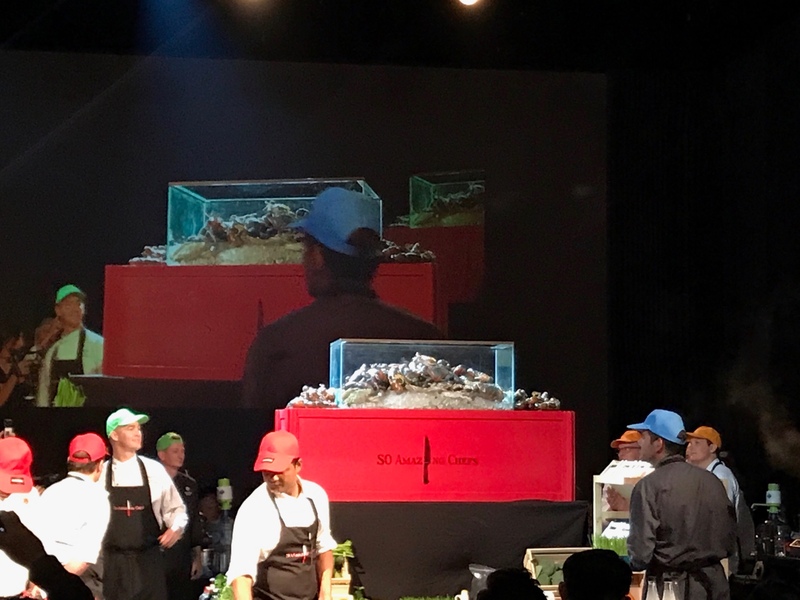 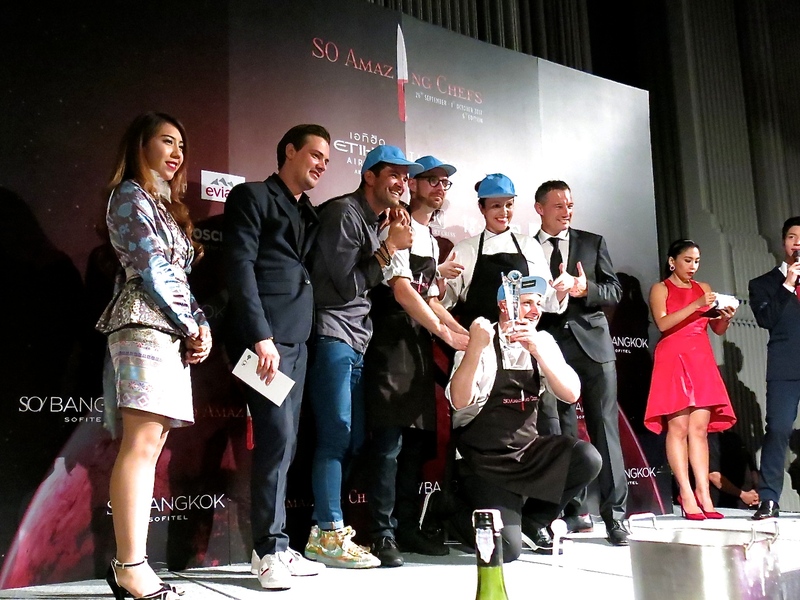 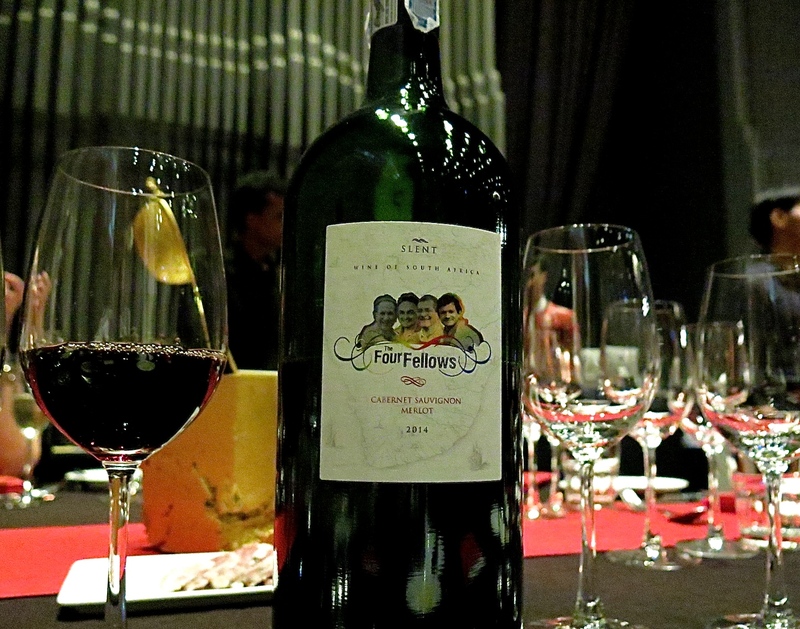 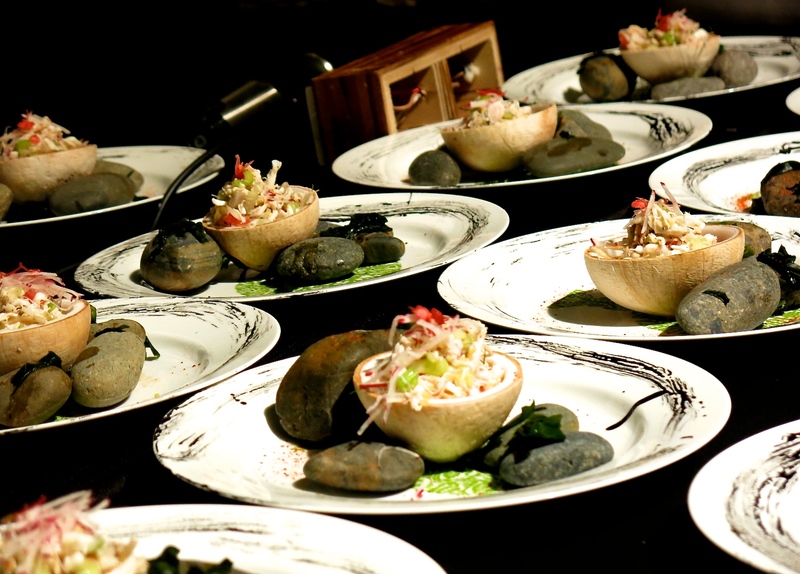 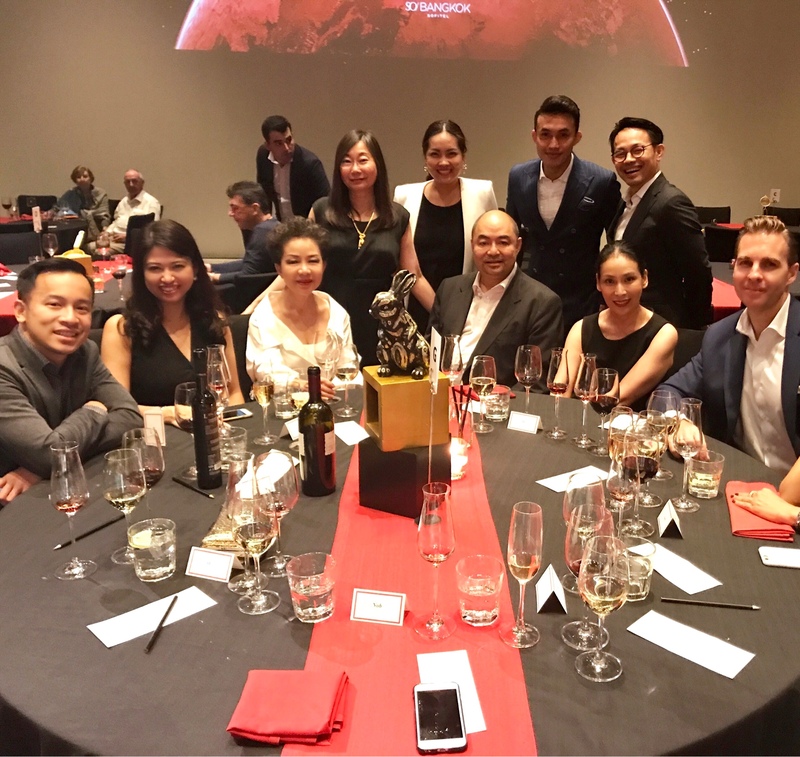 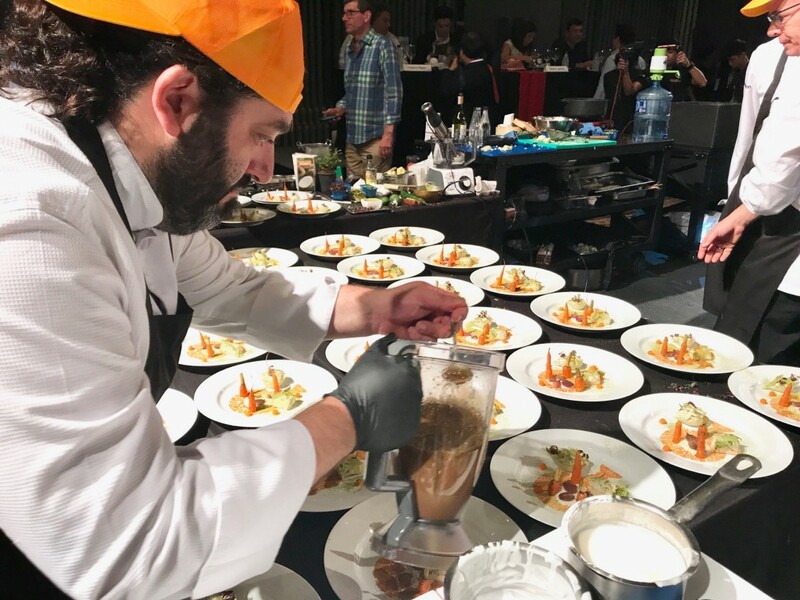 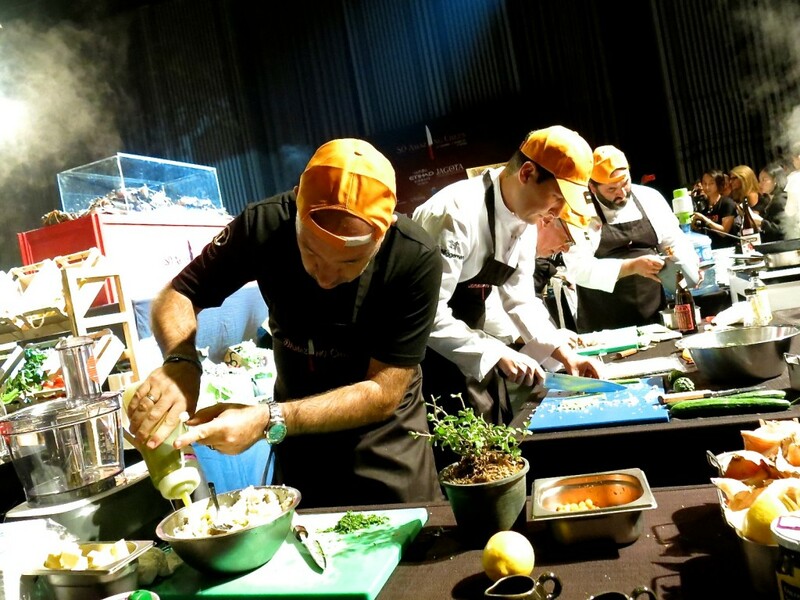 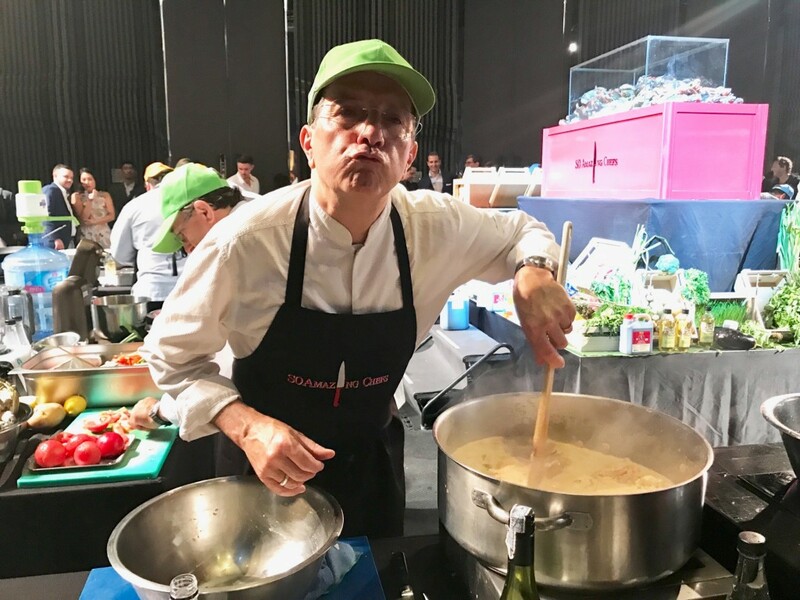 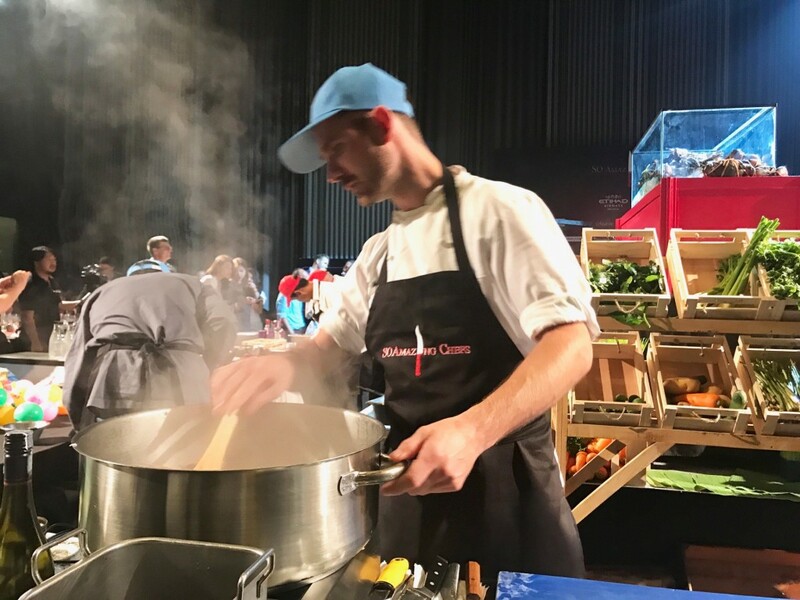 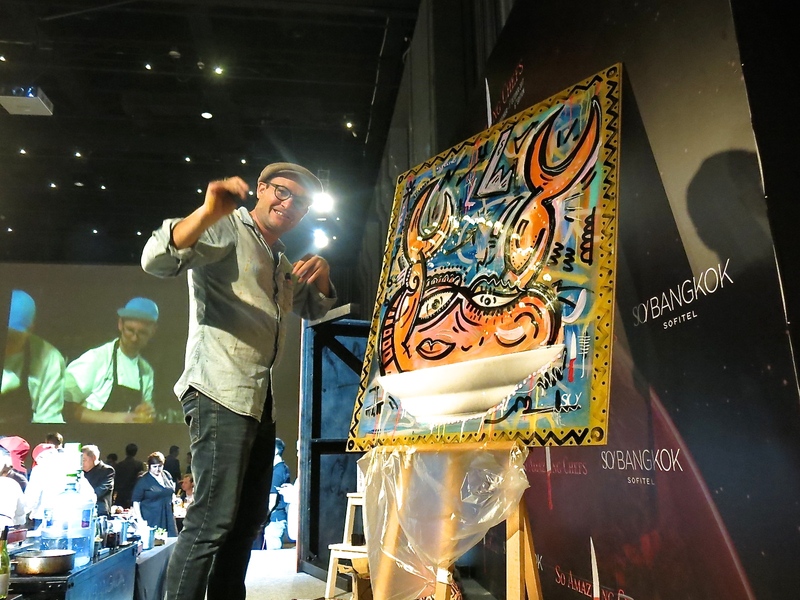 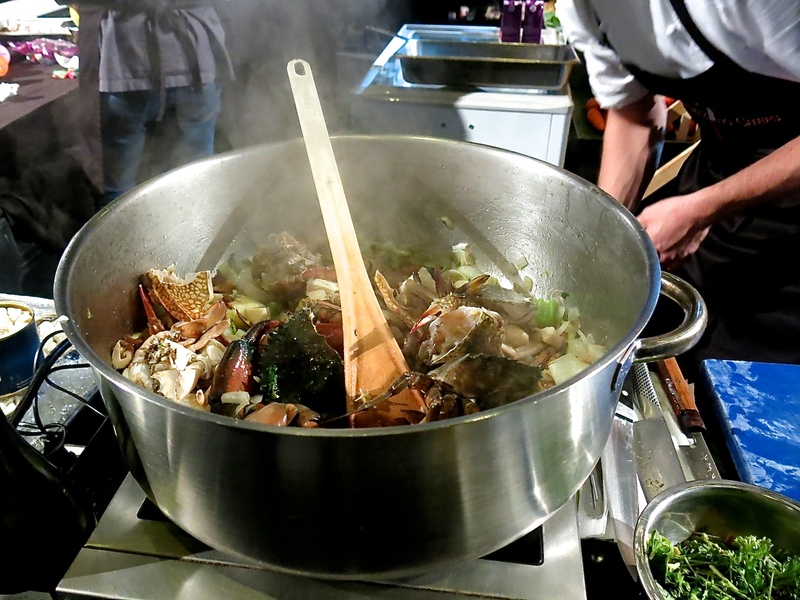 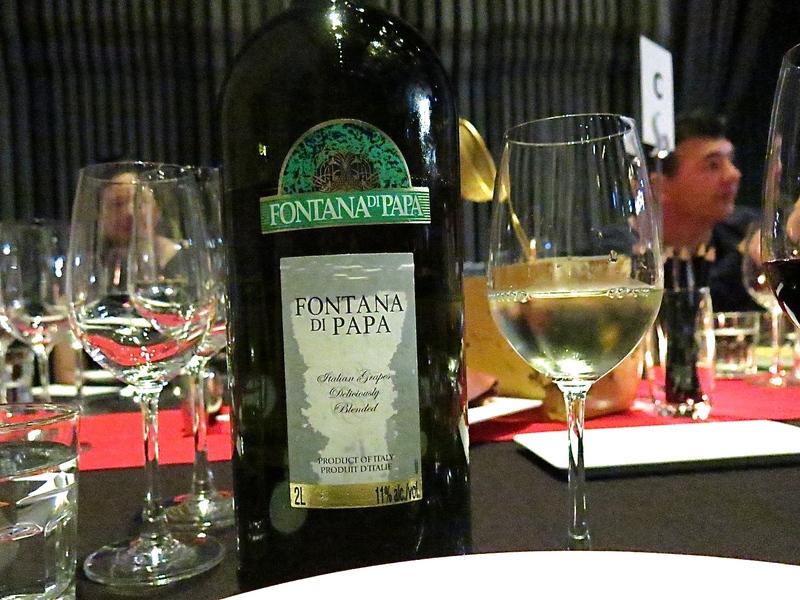 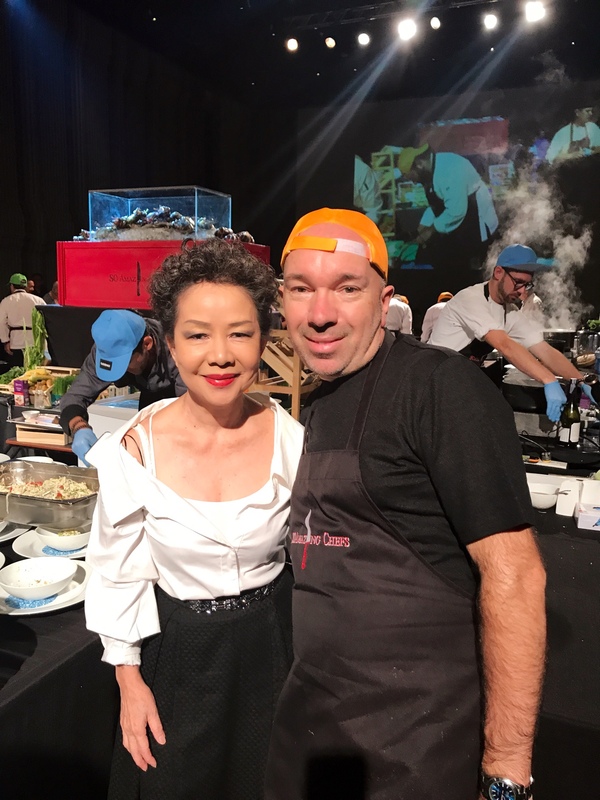 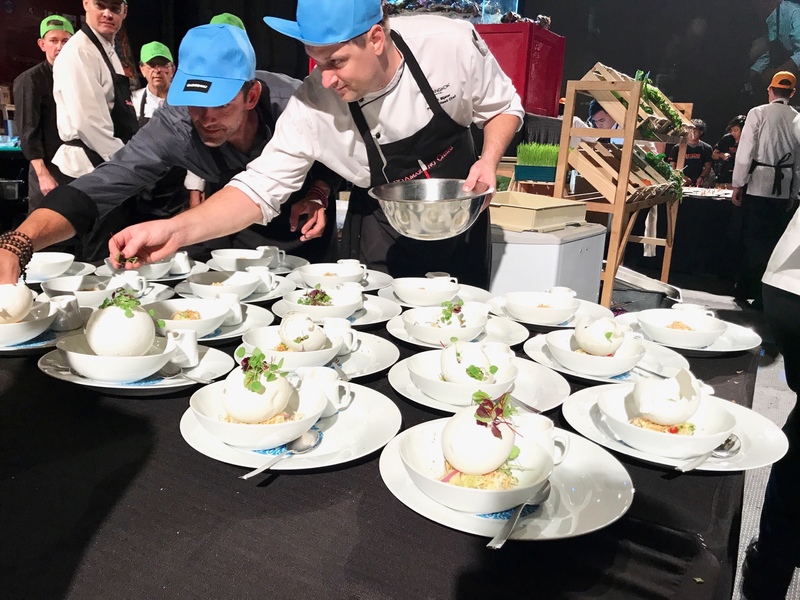 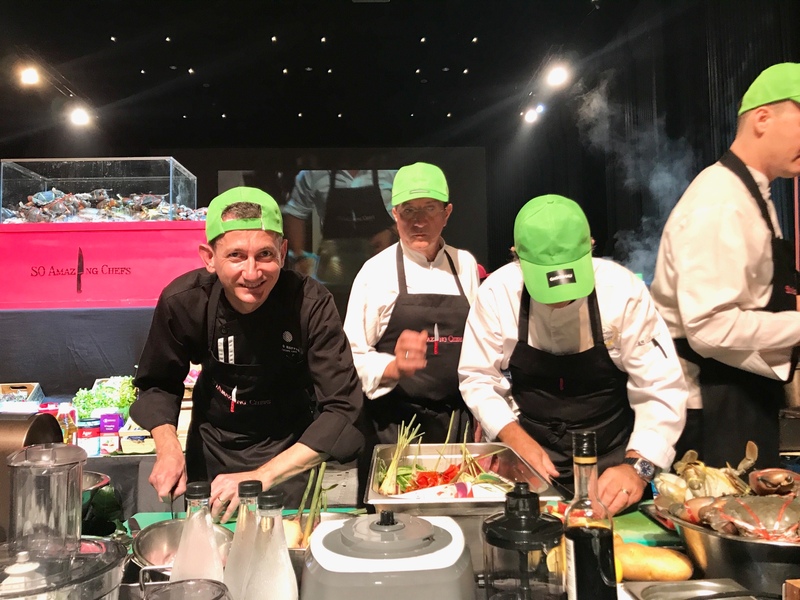 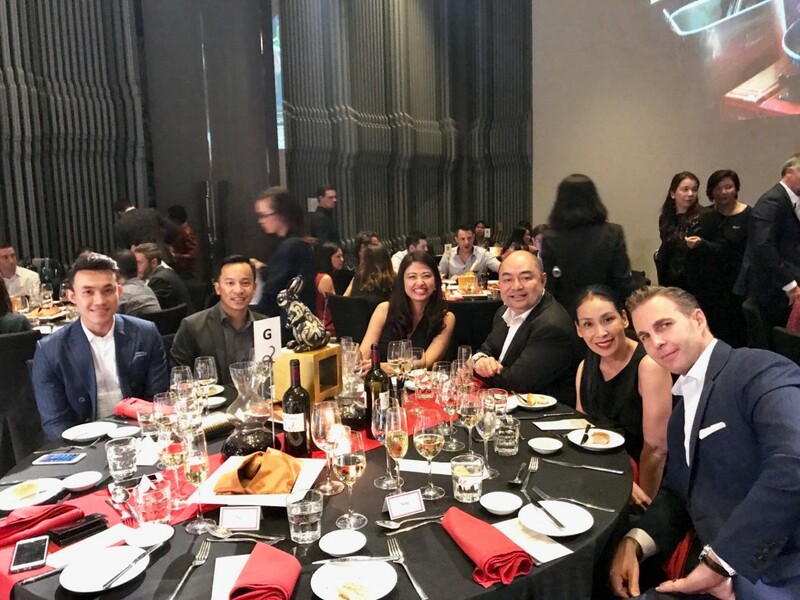 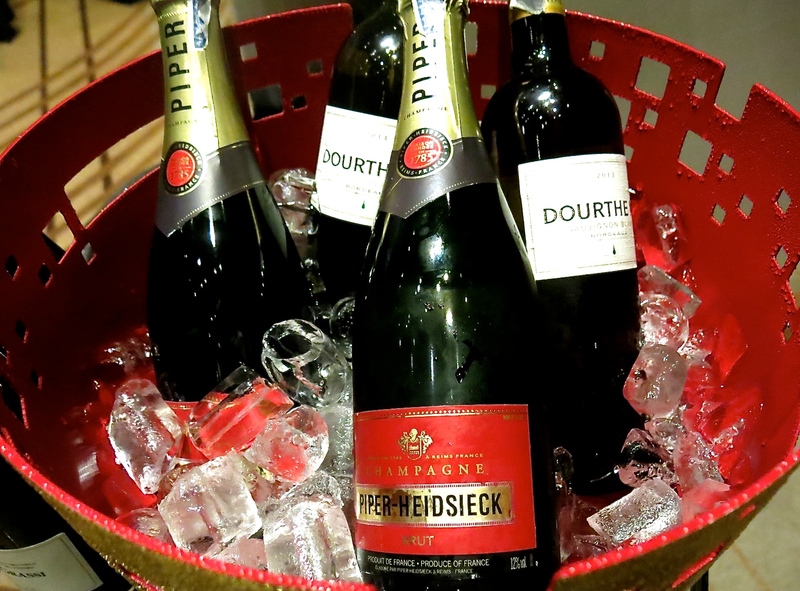 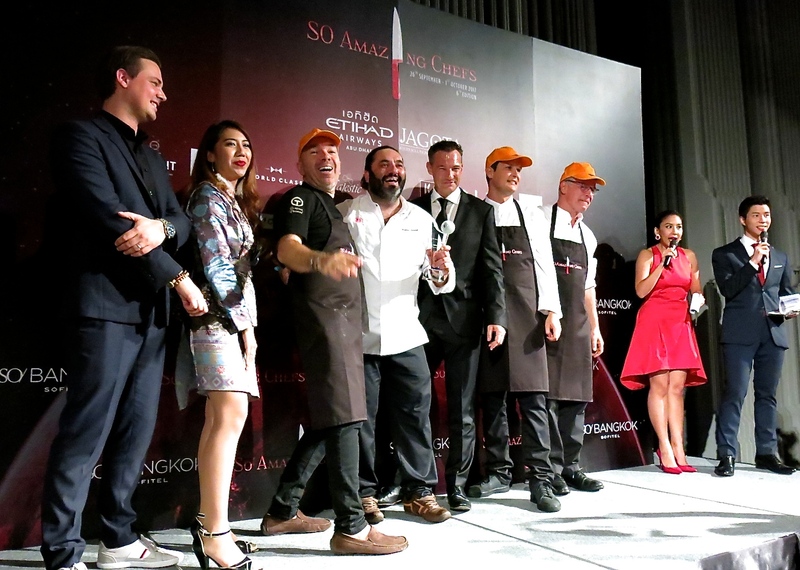 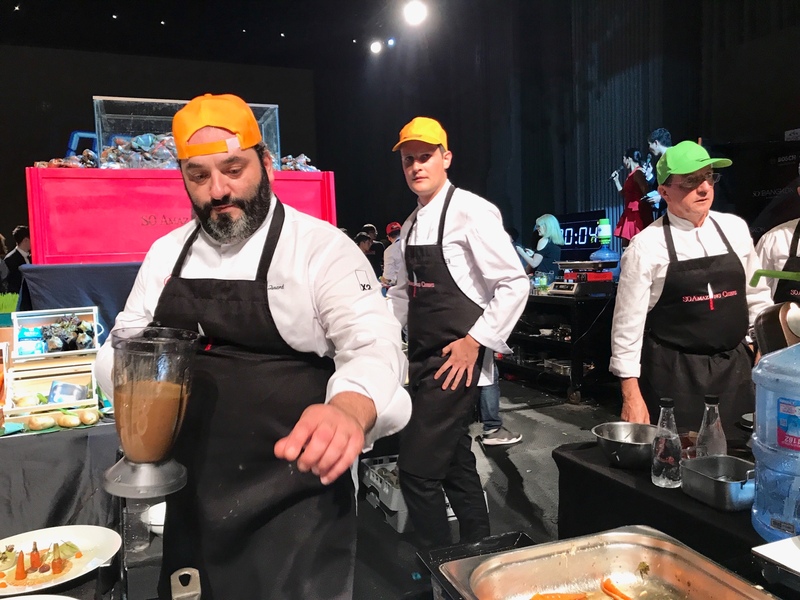 One of the main highlights of this one-week exciting event was the Culinary Showdown competition and gala dinner, where it’s ‘hats on and gloves off’ with SO Amazing Chefs competing against one another in the name of charity. 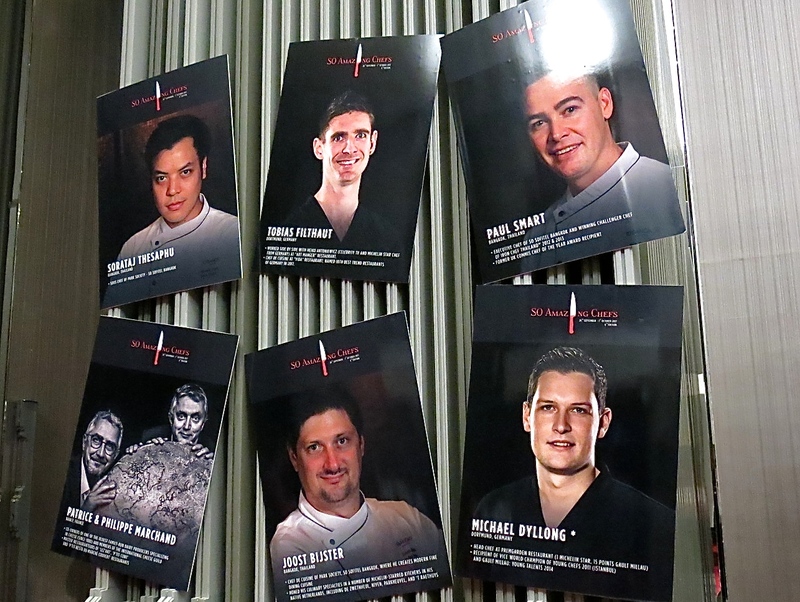 Chefs and experts participating in this special charity evening included Alain Caron (Amsterdam, Netherlands), Jacques Pourcel (3* Michelin from Montpellier, France), Jean-Baptiste Natali (1* Michelin from Colombey-les- Deux-Églises, France), Joost Bijster (Bangkok, Thailand), Laurent Peugeot (1* Michelin from Burgundy, France), Michael Dyllong (1* Michelin from Dortmund, Germany), Patrick Jeffroy (2* Michelin from Brittany, France), Paul Smart (Bangkok, Thailand), Stéphane Bonnat (Voiron, France), Thierry Drapeau (2* Michelin from Saint-Sulpice- le-Verdon, France), Nicolas Isnard (1 * Michelin from L’Auberge de la Charme, Prenois), René van Empelen of Amsterdam-based Van Empelen Catering, Sakal Phoeung of the much acclaimed Le Corto in Saigon, Angela Brown, Executive Chef – Raffles Grand Hotel d’Angkor, and Christopher Lecoutre, a French visual culinary maestro who brings gastronomic creations to life on his canvas. 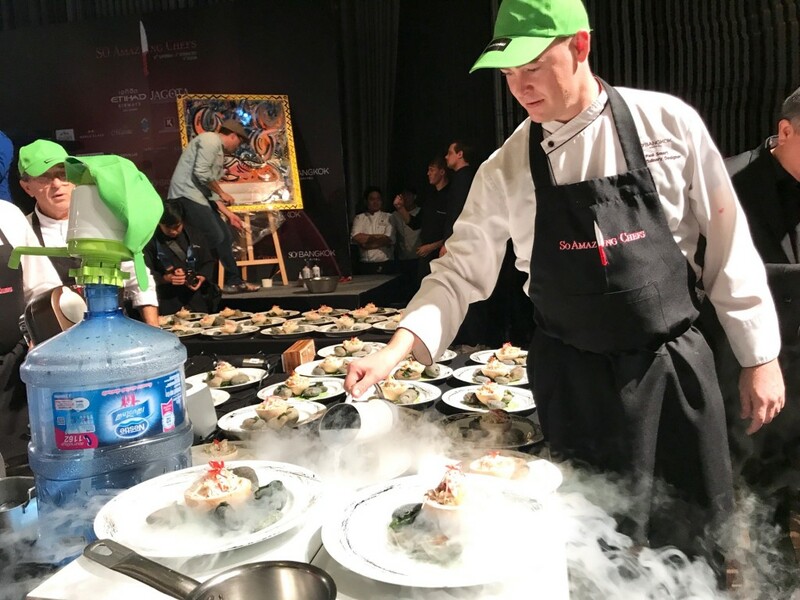 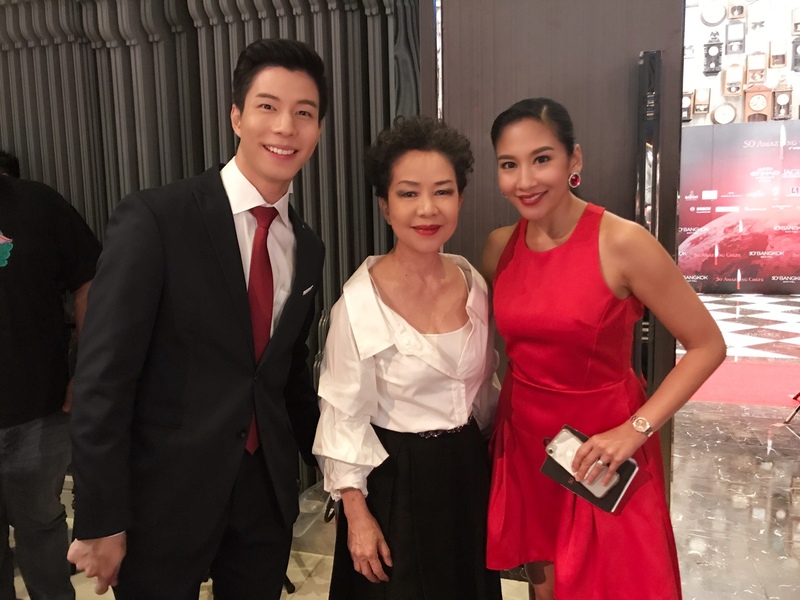 Proceeds from the Culinary Showdown went towards the CCF Foundation under The Royal Patronage of HRH Princess Maha Chakri Sirindhorn.